Last updated Sunday, 15 February 2015 at 16:23:28. First submitted Monday, 25 November 2013 at 23:00:49 by Ian Roulstone. 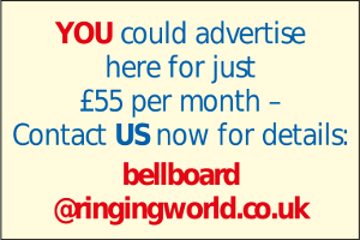 Sent for publication in The Ringing World on Thursday, 28 November 2013 at 19:31:12, and printed in issue 5356, page 1277.